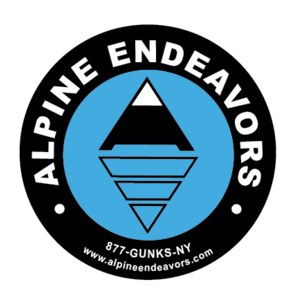 "We just wanted to say thanks to Alpine Endeavors, and Joe in particular, for an amazing day at the Gunks. My girlfriend, Dee, and myself had an absolutely wonderful day, in spite of being very hot until mid-day and then having to leave early due to rain. The weather was not with us,but the great rock, sweeping vistas, and a stellar guide made the trip one for the memoirs. I'm not a great climber, but I am a climber that has had the privilege of climbing in many places around the world and with a number of guides. Joe is hands down the best I have ever had the pleasure of climbing with (except perhaps "Gustavo" in Brasil), and that's saying a lot because honestly most guides are pretty cool. Thanks again, Dee and I very much look forward to the next time we're in the Northeast so we can return to the Gunks and hopefully book another excursion with Alpine Endeavors. Oh...I don't know if you're formally associated with Rock and Snow but that's a great store!"